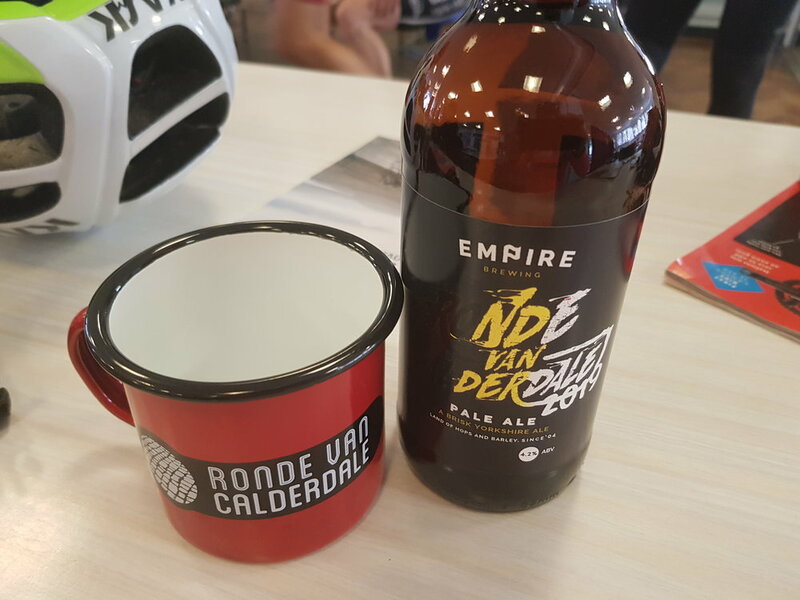 If I was going to summarise the Ronde Van Calderdale, or ‘RvC’ in one sentence, it would have to be “The most punishing but welcoming sportive I’ve ever attended’. The RvC is a locally run sportive in the north of England that is used to fund grassroots cycling. It’s a 78 mile ride with a massive 10,000ft of climbing that loops around the Calder Valley near Halifax. On those two stats alone it sounds fantastically savage but this sportive has a twist; there are 12 cobbled sections on the route, most of which are in excess of 20% that must be tackled. The only thing must people aim for on this route is not putting a foot down rather than getting a solid time. This route was all about seriously steep, cobbled climbs with very few opportunities to get into the big gears, so having the 1x setup wouldn’t be a disadvantage but more a benefit due to the increased number of climbing gears on offer. The constantly undulating terrain and torture from the cobbles meant it was easier to fuel from my bottle than to try and pick gels out of my pocket. It was a relatively cool day so being able to sit little and often was a helpful way of fuelling. The gels were for the second half of the ride once the Beta Fuel ran out and the caffeine gel for that final 30 minutes. The field for this sportive is limited to around 320 riders so from the outset you know it’s going to be a friendly affair. 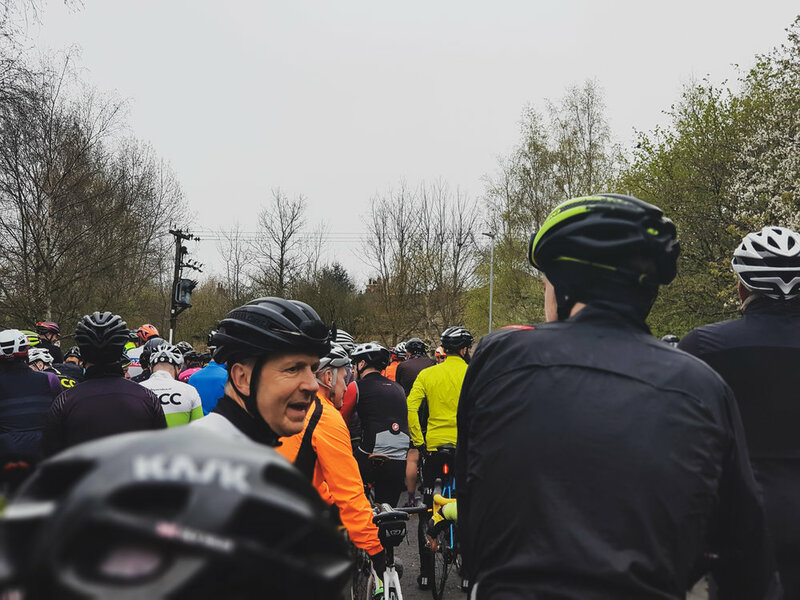 The start takes place in a school and everyone is greeted at the start with home-made porridge and coffee whilst they worry about whether they’ll make it up all the climbs. Due to the small field size they are able to set everyone off as a staggered mass start over about 10 minutes which means there is plenty of time to sort yourself out between those going full gas and those there for the challenge. The organisers are friendly but definitely have a dark side; the first 15 or so miles appear to be all on tarmac, ticking off over 1,500ft of elevation without a cobble in sight. Were they lying to us? Am I on the wrong ride? Not at all; once they’ve lured you into a false sense of security you’re thrust over what feels like a cliff and go barrelling towards the first cobbled brute of the day. Riders chose the wrong gear, bottles flew out of cages and riders chose the wrong line whittling down the group in an instant. The rumours were not wrong, it’s going to be hard. The ride was atrritional as over each cobbled section we slowly lost more and more riders to the lack of grip on the cobbles or mechanicals from the bumps. I won’t cover every climb but there are a number which can’t go without a mention. This is a climb that featured in the Tour De Yorkshire and saw a stalled motorbike and pro riders pushing their bikes. It’s not the steepest climb but it’s one of the longest, with an evil hairpin to catch out the riders that haven’t thought out the right line for tackling the corner. Even if you make it to the top, you somehow have to make it down an 18% descent on the cobbles off the other side without going full steam onto a main road. A tough uphill with an even tougher descent. Surely no one would route a sportive up a road that says ‘unsuitable for bikes’ as well as cars. Well our friendly sportive makes did just that. It’s impossible to truly describe Old Lane properly to those that haven’t visited. 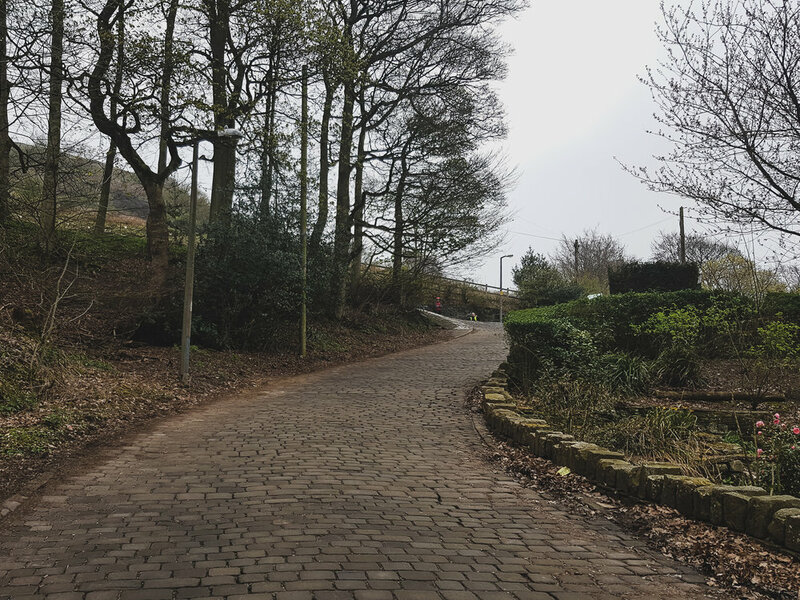 The ‘road’ is so rough it’s impossible to pick a right line as you’re bounced around across what feels more like a scattering of boulders than a cobbled Bronte lane, whilst tackling an average 21% gradient. Crowds gather here to watch as riders attempt to get it up without putting a foot down; many will fail. The last climb of the day. You’ve already tackled over 9,000ft of elevation and 11 sectors of hell but what is left to come catches many out. Trooper Lane starts off rather unassumingly on tarmac, luring you into a false sense of security. It’s already far over 20% as you tick off the first few hairpins before the road straights out and simply rises skyward. You’re forced to try and stay seated for traction but hover over the handlebars so you don’t fall off backwards. Never put a foot down though, because they have a cameraman waiting for that moment. It’s a climb that would be difficult on it’s own, never mind after a hard day out. If you’re plucky enough and make it to the finish without meeting the broom wagon then you’re greeted at the finish with a limited edition bottle of beer and this year, a special enamel mug so that on those future adventures you can show everyone how hard you are. The school hall stays open all afternoon with refreshments so that riders can roll in and share their horror stories, railed attempts and laugher at slipping out on the ‘easier’ cobbles. One of the friendliest events i’ve attended and frankly the hardest. Other events come close but the mix of short sharp climbs and cobbled sectors really stands this event apart, as do the little touches like the beer at the finish. The feed stops were well manned and well thought out and the whole event runs without rider bravado. It’s a safe and exceptionally challenging event and one which I will enter again, if only to remind myself how much fun it can be to ride these ridiculous roads.